Jiu Jitsu is a combat sport that focuses primarily on grappling with the ultimate goal being to gain a dominant position on an opponent and use various chokeholds and joint locks to force them to submit. The overriding principle in this sport is leverage and technique thus giving a smaller, weaker person a huge advantage over a stronger opponent with less training experience. 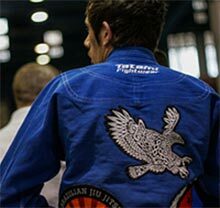 Jiu Jitsu can be trained for self defence, grappling tournaments and mixed martial arts competition. Controlled sparring and live drilling play a major role in every class thus ensuring progress in the sport occurs rapidly. 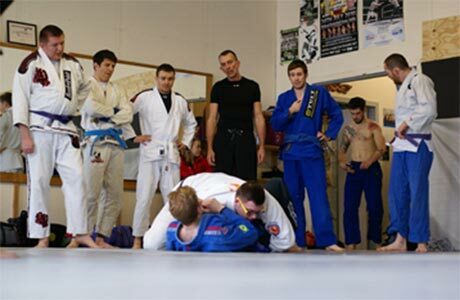 The Griphouse is the only gym in Scotland with two BJJ Black Belt coaches under Roberto Atalla - Paul McVeigh and Garry Christie. 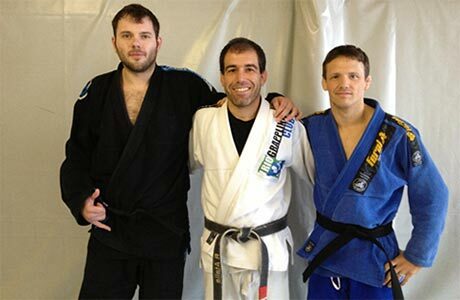 These top-level coaches cover all the Griphouse BJJ sessions and are available for private tuition. Contact thegriphouse@gmail.com for further details. 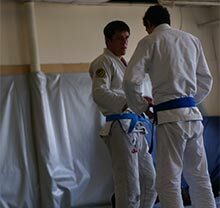 These classes focus on the basic techniques and principles of the sport. These classes are suitable for all levels but are aimed at those just beginning their training. The format of these classes usually consists of 60minutes of sparring in 6-10minute rounds. This offers a great opportunity to utilise techniques against a resisting opponent and to develop your own Jiu Jitsu game. As well as increasing your technical proficiency you will also get a great workout as these sessions can be physically intense. Our afternoon intermediate classes will be 45 minutes technique and 45 minutes rolling.